You can find the best prices in Tampa for top quality plywood products right here at Peninsular Lumber Company. We carry top grade CDX, Oriented Strand Board and Finished plywood suitable for every project. 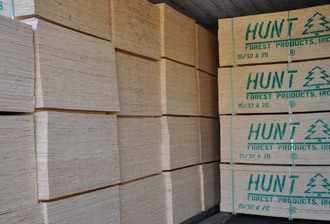 It’s easy to order high quality plywood products at Peninsular Lumber in Tampa. You can browse our online product pages to view our selection of plywood types and sizes or come down to our lumber yard in Tampa and look at the products in person. We can provide fast, free delivery or have it sorted and ready to load when you arrive at our Tampa location. Contact the lumber and building experts at Peninsular Lumber today and place your order. The grades run from A, which is the highest, to D. The reason there are five grades in total is because the C grade has two grades: C grade and C plugged grade. The grades specify how many knots and patches and other imperfections the plywood can have. Most plywood is described by more than one grade. First Grade – First Side..Second Grade= Opposite Side The first grade describes the face panel while the second describes the back panel (i.e. B-C grade means the front is B grade and the back is C grade). Grade: Grade A is smooth. It can be painted and has a limited number of patches. Grade: The B grade is solid, and has a few more knots and may even have very minor splits. Grade: Grade C allows for limited splits and discoloration or sanding effects, provided the plywood strength is not affected. C plugged grade plywood is an improved version of C grade. The difference is that the splits and cracks are not as big as those found on C grade. Grade: Grade D plywood features knotholes of up to three inches across the grain and even some cracks. This grade of plywood should never be used outdoors, as when it gets wet it will swell and break down.